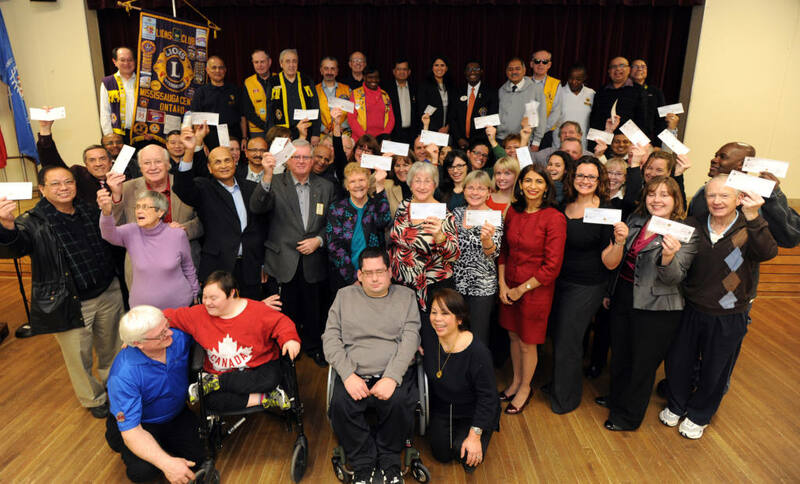 The Mississauga Central Lions Club raises its funds principally through the management of the Lions Farmers Markets the club has run in the downtown core of Mississauga since 1974, as well as other fundraising projects. It is a Lions club principle that all monies collected from the public go back to the public. Funds for administrative needs are raised independently. In this manner we maximize our contributions to the community. The Club is proud to be a Founding Partner of Mississauga Legends Row . From time to time we commit resources to help in a beneficial cause a few years agou in conjunction with Totary and othe local Lions Club we help fund the transportation of Eye Imaging Equipment to Kenya. See a picture and a brief story Here.